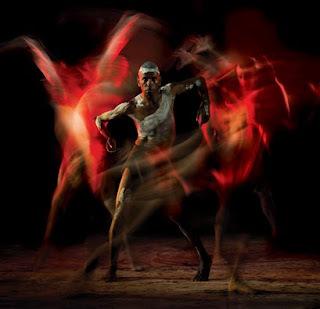 After performing their 20th Anniversary retrospective program around the country this year, Bangarra Dance Theatre have cemented themselves as one of Australia's most important and fascinating dance companies. The Australian Broadcasting Corporation (ABC) recently screened a special Message Stick program on Bangarra. It combines recent and historical footage, interviews and rehearsal clips from Fire. If you missed it on the telly, you can still catch it on the ABC's Arts website. Watching the doco is not nearly as satisfying as seeing the live performance, but it gives a really good overview of the company's history, and an insight into what the future may hold.